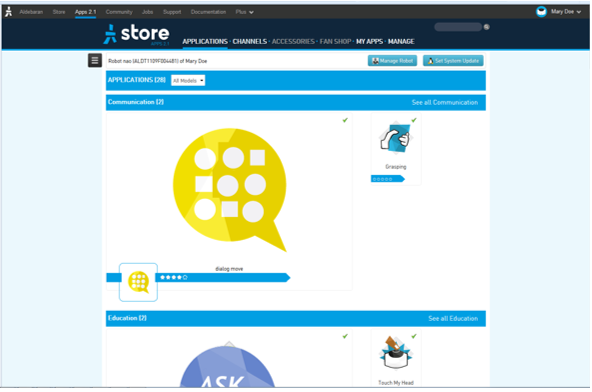 On the Apps 2.1 Store, choose Applications. Optionally, use the Release and Models filters. Click an Application to install. Click the Install or Test button. Choose the release to install. By default, the automatic update of the last release is selected. You can also choose the last beta. The message “You have no robot registered to your account, please register your robot to allow application installation” appears, see: Registering your NAO.